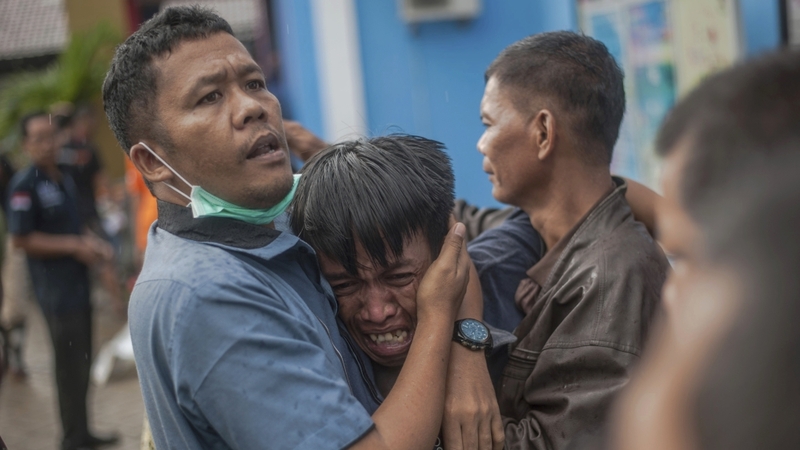 Both sides of Indonesia‘s Sunda Strait – Java on the east and Sumatra on the west – were hit by a tsunami late on Saturday, causing hundreds of deaths and widespread devastation. The tsunami, which is believed to be caused by undersea landslides from volcanic activity, caught the region by surprise. How many were killed or injured? What is the scale of the devastation? More than 220 people have been killed, hundreds more were injured. At least 28 others are still missing, officials said on Sunday. The tsunami also damaged about 350 boats and vessels, 556 houses, 73 vehicles and nine hotels, according to Indonesia’s disaster agency (BNPB). The majority of the deaths happened in worst-affected Pandeglang district on Java’s western tip. Serang, further north, and South Lampung, on Sumatra island were also hit hard. What might have triggered the tsunami? 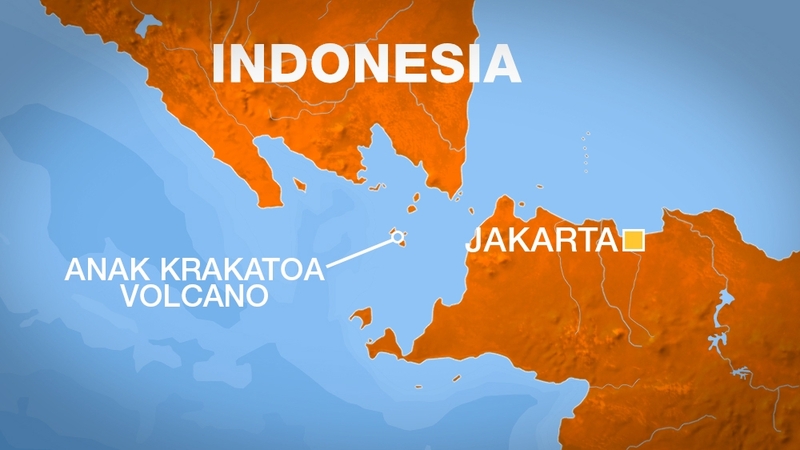 Indonesia’s climatology agency (BMKG) said undersea landslides triggered by an eruption of the Mount Anak Krakatau volcano, located about 50km offshore in the Sunda Strait between the islands of Java and Sumatra, may have triggered the tsunami. The agency said the eruption took place at 9:03pm (14:03 GMT), and the tsunami hit 24 minutes later. “At the same time, the tide was high due to the full moon, so it was a combination of two natural phenomenons, the tsunami and the high tide,” a spokesman for Indonesia’s disaster agency (BNPB), Sutopo Purwo Nugroho, said in a statement. Simon Boxall, Oceanographer, told the Associated Press, “We know that there was a major eruption of the volcano on Friday but the tsunami that occurred was a day later. “So it was likely to be as a result of either a pyroclastic flow – these are these sort of lava flows that come off the volcano after an eruption – or more likely it was a submarine landslide, which was sort of triggered by the eruption itself. “Now, the tsunami that was created was, I say, only three metres. The problem is it occurred during a high tide, a high spring tide, which means that the water levels were already very, very high. Is this the first tragedy of its kind in the area? An estimated 230,000 people were killed on December 26, 2004, when an earthquake-triggered tsunami struck 13 countries on the Indian Ocean including Indonesia, Sri Lanka, India and Thailand. Mount Anak Krakatau has erupted at least twice in the past few years and has shown increased volcanic activity since June. In 1883, a massive eruption from the main Krakatau volcano triggered a giant tsunami that killed more than 30,000 people.